Today we were modifying dog gates and replacing signs. The first job was to modify a dog gate to allow larger dogs through. 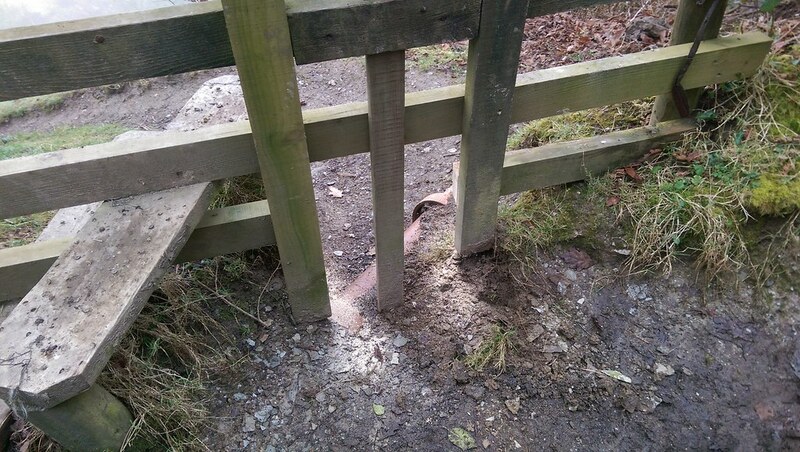 Dog gates are a sliding piece of timber held in place next to stiles, the sliding timber can be raised to allow dogs to pass through the gap, the timber then falls back into place to prevent livestock escaping from fields. This dog gate was quite low, so we removed the bottom rail and dug out the large stones at the bottom to make the space for dogs larger. 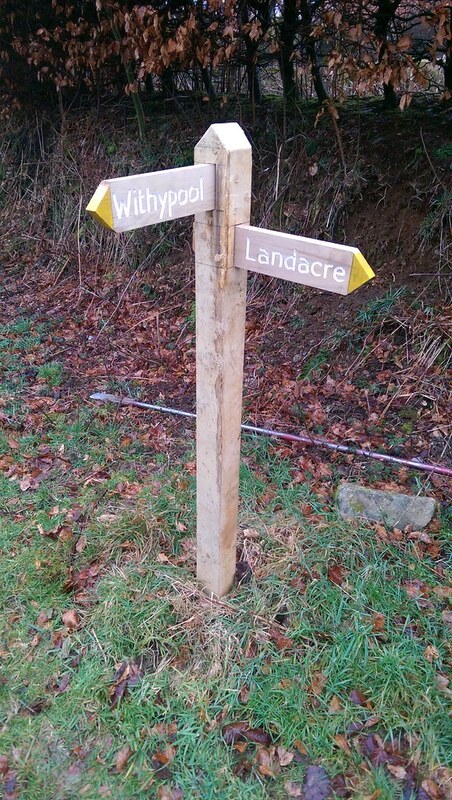 The next job was fitting a sign, the old sign was dug out and put in the back of the Land Rover for disposal, the new sign was put in place and stones were packed around the base to secure it. 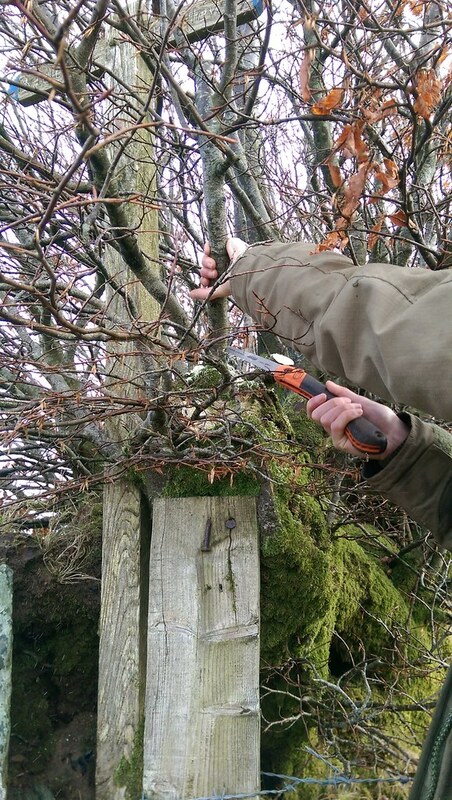 The next job was clearing some branches back from a byway sign so it could be seen more easily by walkers. This was done using a hand-held pruning saw. 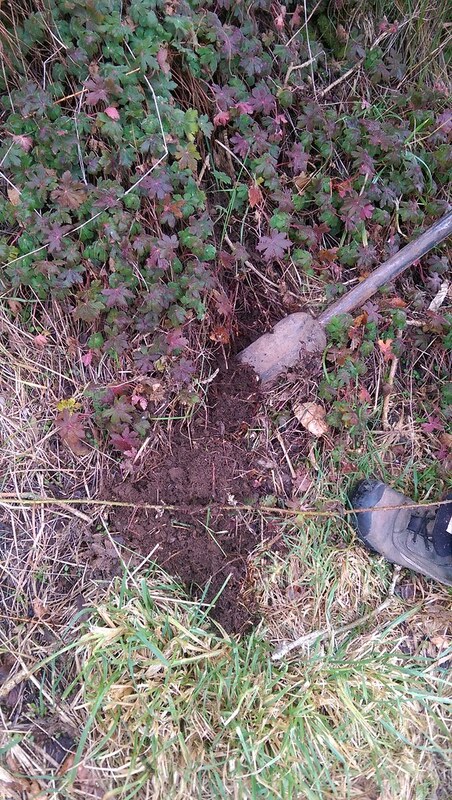 We then pushed the cut branches into the hedges to create habitat the provide dead-hedge to thicken the hedges. 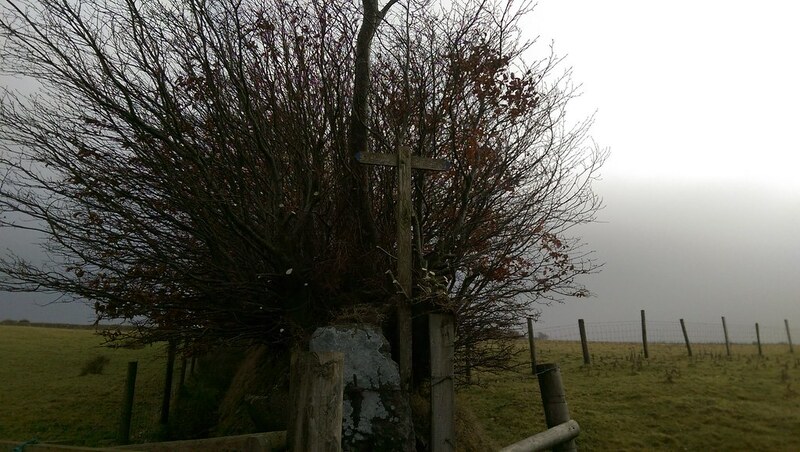 Once the branches had been cleared back, the sign was easily visible. 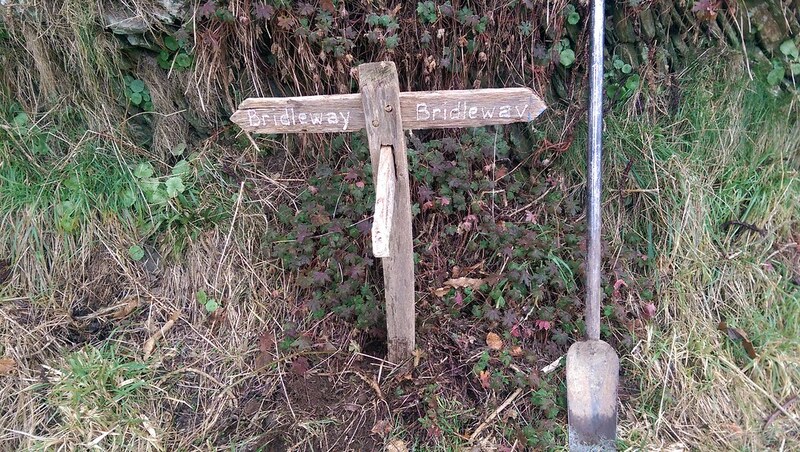 The next job was to dig an existing sign back in that had come out. When we arrived it was clear the old sign was broken. We dug out a small hole and used stones to pack around the sign to secure it, but made a note that this sign would need replacing. 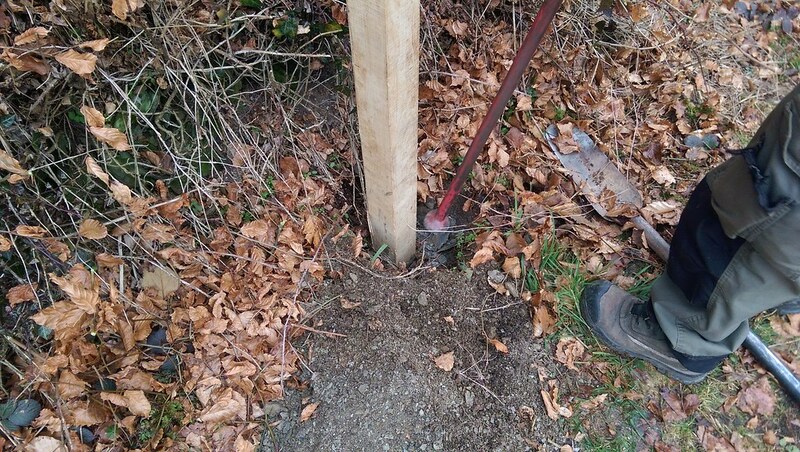 We took careful note of the directions of the fingers on the post so that a new post could be made up at the yard. This is where having worked in the workshop comes in useful so the correct directional codes can be used for each finger to ensure the manufactured sign matches the existing one. On returning to the yard the ticket was flagged for the ranger responsible to put in a new ticket for a replacement sign at this location. The next job was a new sign to go in. We dug out a suitable hole, which was hard work as the base under the soil was shale. 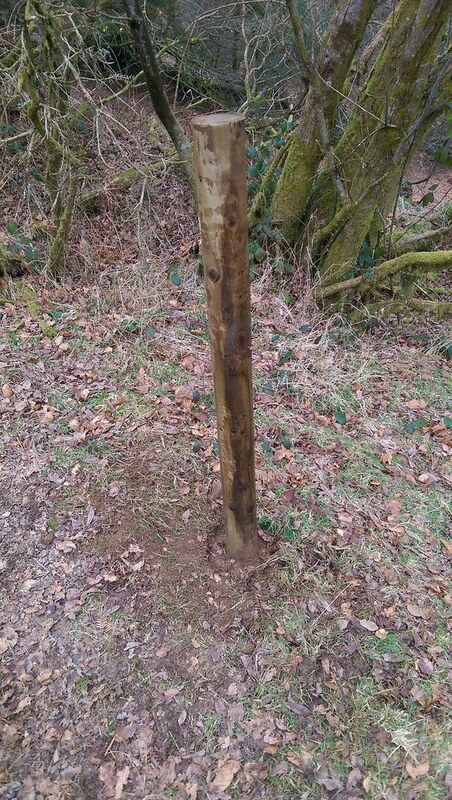 We then positioned the post as requested on the ticket and packed stones around it to secure it using the iron bar. 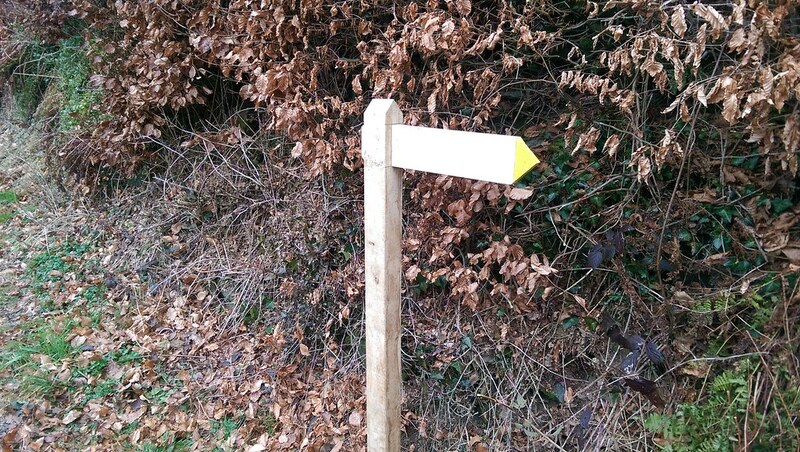 The last job of the day was to fit a confidence post to define the route people should be taking on a walk through some woodland. 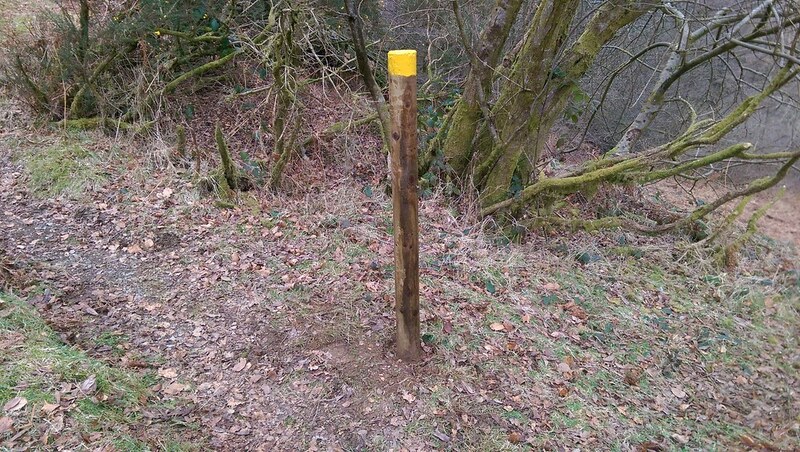 Confidence posts are a simple stake with the top painted yellow to show people where the footpath is. 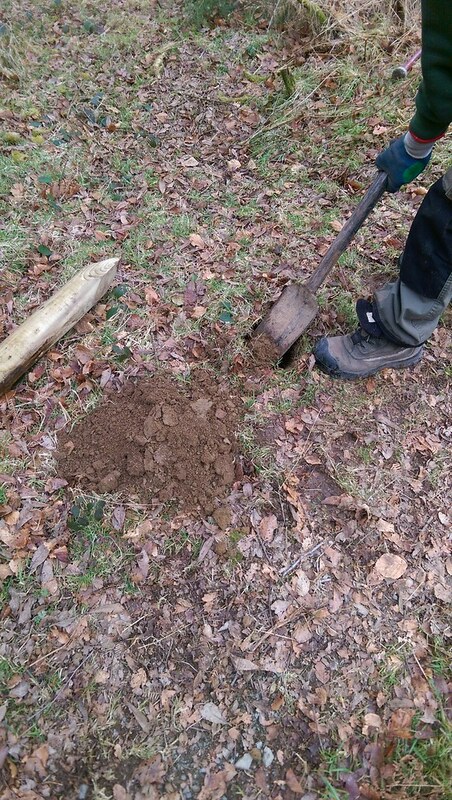 We dug a hole for the post which was easy as the ground was reasonably soft. 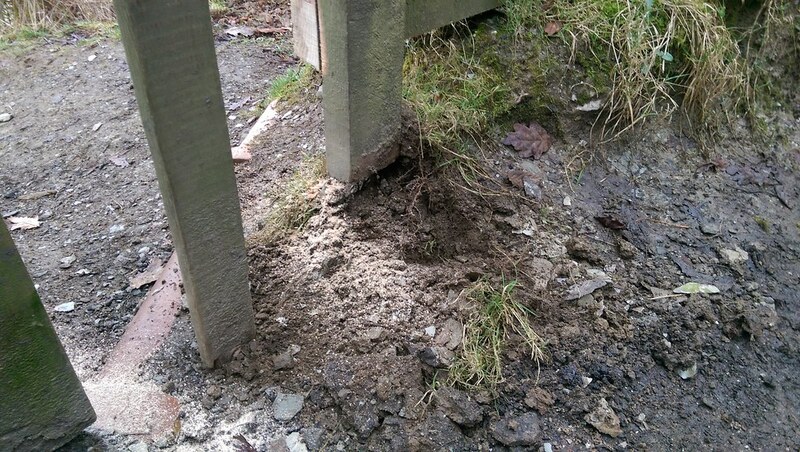 The iron bar was used to make a slot in the base of the hole for the post to be driven into, this helps to locate the post and allows it to be driven into the soil. 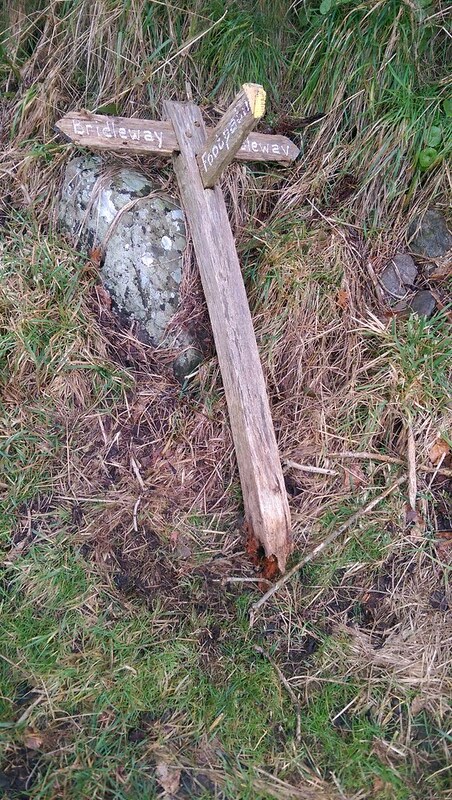 The post was hammered in using the round end of the iron bar. 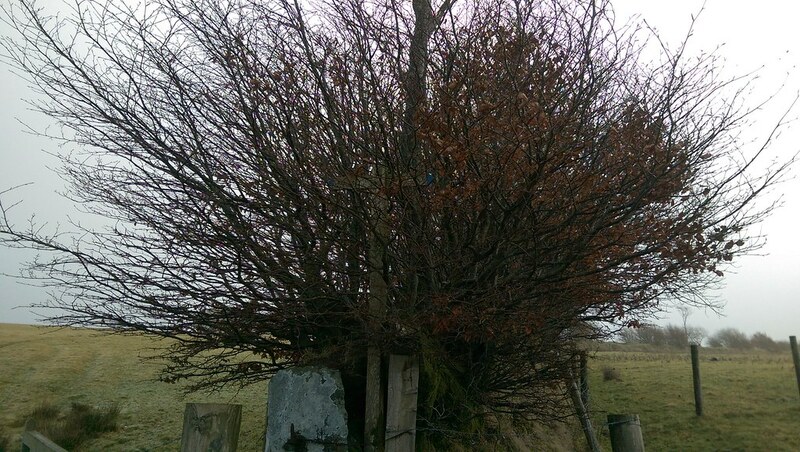 The post was packed in using stones and earth to secure it, this was done using the iron bar. 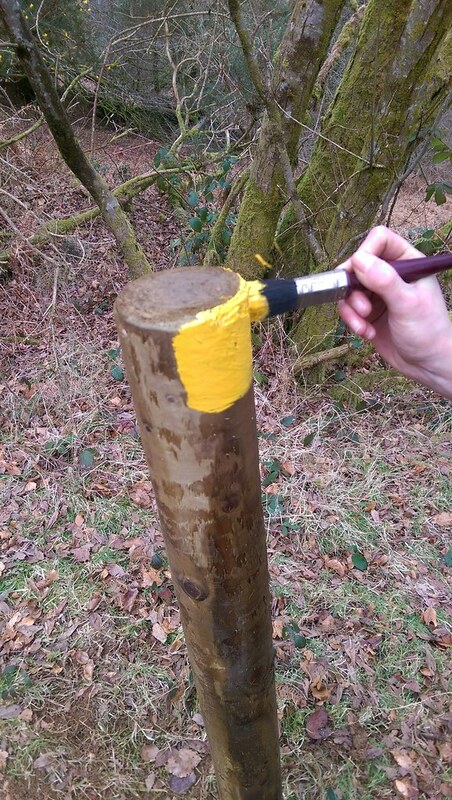 The top of the post was painted with yellow paint so it is easily visible and matches the yellow of the footpath signs.